d hazard coverage and 24 month no-cost tire rotations. Some examples include nails, screws, potholes, or any debris from the road. Disposal Fees and Tire tax additional. Coverage includes 100% cost of tire in the first year, and 50% cost of the tire in the second year. Mounting, balancing, and/or alignment not included on replacement tire. Available only for Toyota models, and only using Toyota recommended dealer tires and sizes. Tires are one of the most important parts of your vehicle, because (let’s face it) it’s where the rubber meets the road. At the Checkered Flag Toyota Tire Center in Virginia Beach VA, we care about your safety. So how do you know when your tread depth is running low? 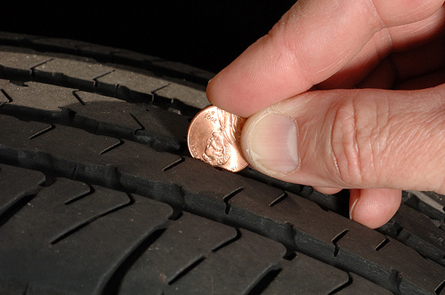 Turn a penny upside down, and stick it in the tread of your tire. If you can see the top of Honest Abe’s head, your tread is worn and will need replacing. 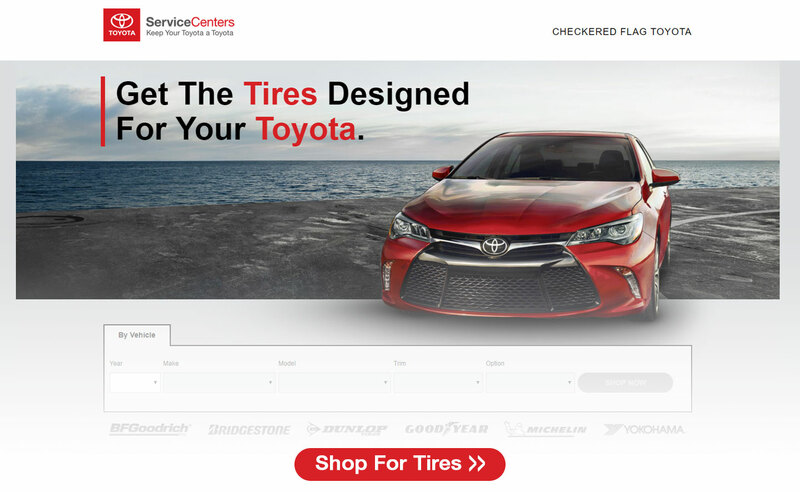 For a more exact measurement, bring it by the Checkered Flag Toyota Tire Center for a free tread depth analysis.